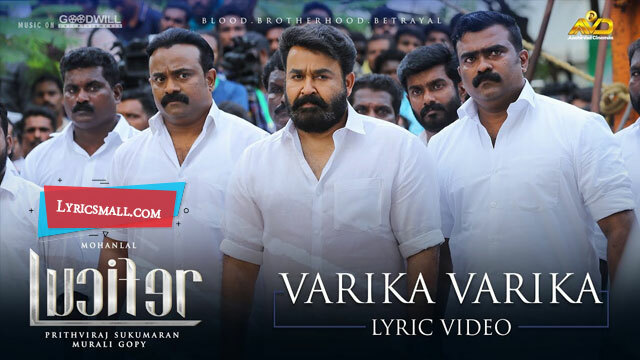 Varika Varika song lyrics from Lucifer Malayalam Movie. Directed by Prithviraj Sukumaran. Produced by Antony Perumbavoor under the banner Aashirvad Cinemas. Starring Mohanlal in lead roles. Music composed by Late Devarajan Master. Lyrics were written by Late Amsi Narayana Pillai. Sung by Murali Gopy. Song released under Goodwill Entertainments official label.